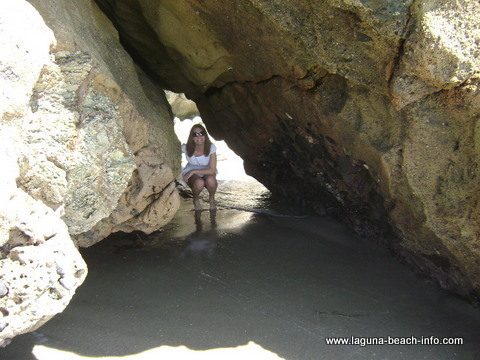 Escape to paradise- go to Woods Cove in Laguna Beach! When you’re in Laguna Beach, you need to spend some time at Woods Cove. This beach is paradise. Unless there’s a swell, you’re not likely to find much surfing here, but the natural beauty of the place more than makes up for that! On the southern end (looking left) of Woods Cove, you’ll find a slanted rock arch where you can walk through the rock wall and enter a tiny little secluded spot on the beach! The tide does wash up high enough to get you wet though, so be prepared for some splashing tides! Bring your snorkel gear and a dive buddy, because Woods Cove offers some great local diving. The only drawback to Woods Cove, is that there are no restroom or shower facilities here. In case of emergency, you will find a payphone at the top of the stairs on Diamond St and lifeguards are stationed at the beach during daylight hours in the summer season. 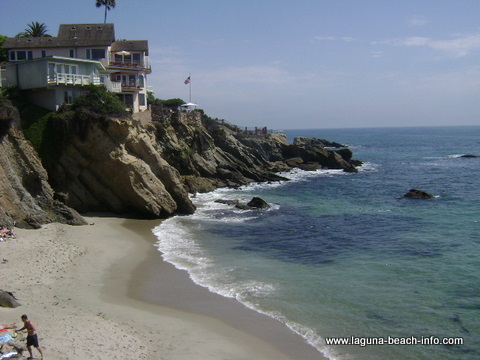 Whatever you do- when you’re visiting Laguna Beach, at least stop by and walk the beautiful sandy shores of Woods Cove. You will not regret it! There is imited free parking near Woods Cove on Ocean Way. You can usually find additional metered parking on Coast Highway. And, if you don't mind walking, you can park for free in the residential streets across Coast Highway, just make sure that you don't block anyone's driveway! 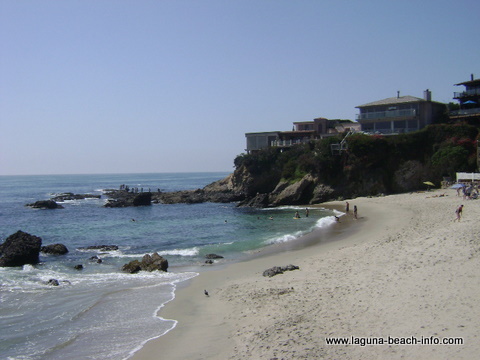 Woods Cove is located at the intersection of Diamond St and Coast Highway in Laguna Beach.